A clean baby is healthy and happy baby. 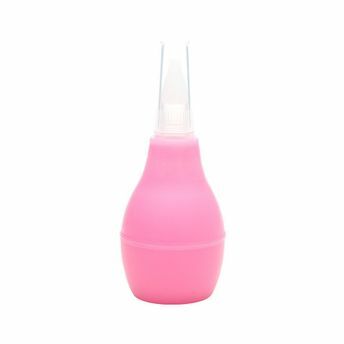 Mee Mee's Nasal Aspirator cleans your baby's nose easily and clears the blockages in the nasal passage to avoid respiratory difficulties. It also prevents the build-up of mucus in the nostrils which may obstruct breathing.